William Ellis has just contributed to an edited volume on traditional leadership in South Africa after 1994 edited by Beth Vale and Dineo Skosana in collaboration with the Mapungubwe Institute for strategic Reflection (MISTRA). 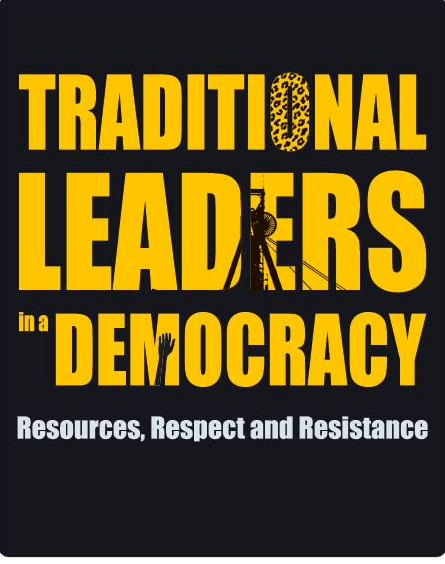 Traditional Leaders in a Democracy: Resources, Respect and Resistance was launched last week at the offices of the National Institute for the Humanities and Social Sciences (NIHSS). William’s contribution explores how the institution of traditional leadership has been mobilised by some contemporary KhoiSan communities as a tool of and a means of making claims on the state. Although history demonstrates a fluid, and largely contingent, set off leadership practices among the KhoiSan, South Africa’s new democracy has, ironically, necessitated that some KhoiSan groups assume more fixed forms of ‘tradition’ in order to reap the benefits of liberation and restitution policies. Amid rallying calls for ‘decolonization’ these KhoiSan activists have sought to privilege the political power of ‘indigeneity’. Theirs is a recent story of how traditional leadership has been recast and re-imagined—as it has many times before—to respond to the exigencies of the moment. Ellis, W. (2019) “Situational chiefs: Notes on traditional leadership amidst calls for KhoiSan recognition after 1994/Khoisan Bill.” In Dineo Skosana & Beth Vale (Eds.) Traditional Leaders in a Democracy: Resources, Resistance and Respect. Johannesburg: NIHSS/MISTRA Wits University Press.